Offshore wind energy development has the potential to impact fisheries resources, habitat, fishing communities, and protected resources. NOAA Fisheries and the Bureau of Ocean Energy Management are partnering with the commercial fishing industry to better understand these potential impacts and to integrate fishing industry perspectives into offshore energy development. From the sand and sediment on the ocean bottom, to the forests of underwater vegetation and corals, to the water itself, healthy habitats provide the foundation for economically vital fisheries as well as a wide array of marine life along our coasts. Learn what NOAA Fisheries is doing to better understand the role habitat plays in our nation’s fisheries in this new storymap. Developing electronic monitoring and electronic reporting technologies support science-based management decisions in commercial and recreational fisheries across the country. This year, in celebration of Women’s History Month, we are highlighting eight women leaders in electronic technologies. Fishery observers and at-sea monitors are our eyes and ears on the water. The data they collect from U.S. commercial fishing and processing vessels, as well as from shore-side processing plants, are critical to sustainable fisheries management. 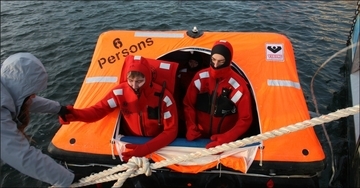 The National Observer Program is dedicated to keeping our observers and at-sea monitors as safe as possible in unpredictable circumstances while deployed in the field. Observer safety workshops ensure high training standards across all regional observer safety programs. Observers deployed by the North Pacific, Pacific Islands, and At-Sea Hake Observer Programs collect seabird bycatch, a valuable source of data for seabird management. 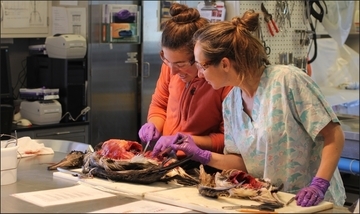 NOAA’s National Seabird Program works with the nonprofit organization Oikonos to conduct seabird necropsies. By April 15, please submit your comments on the Southwest Fisheries Science Center’s application for a 5-year enhancement permit to take larval, juvenile, and adult white abalone in California. Researchers plan to experimentally outplant white abalone along the southern California coast to learn more about methods of increasing the population. 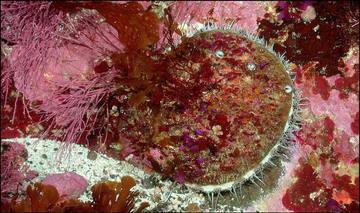 White abalone are one of NOAA Fisheries’ Species in the Spotlight. The South Atlantic Fishery Management Council, headquartered in North Charleston, South Carolina, seeks to recruit a Recreational Reporting Outreach Specialist to develop outreach and educational materials around electronic recreational reporting. Applications are due April 8. 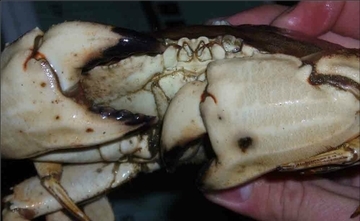 By April 22, please submit your comments on proposed measures for the Jonah crab fishery that complement the Atlantic States Marine Fisheries Commission’s Interstate Fishery Management Plan for Jonah Crab. Part of a larger effort to restore Michigan’s Kalamazoo River after hazardous waste contamination, the removal of Alcott Dam on Kalamazoo tributary Portage Creek opened an additional 1.5 miles of habitat to fish. 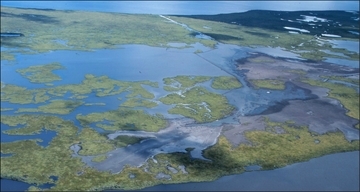 Supported by NOAA and other natural resource trustees, the project also restored habitat in and along Portage Creek. 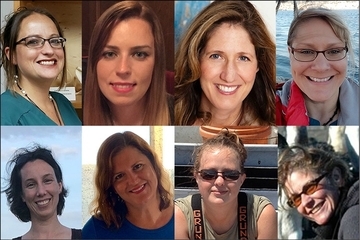 During March, Women’s History Month, the Northeast Fisheries Science Center is conducting a series of interviews with women scientists about their science journeys. Meet Lisa Colburn, an anthropologist at the Woods Hole Lab, and Holly McBride, an IT specialist in the Data Management division. Free Atlantic Shark Identification workshop in Fort Pierce, Florida. Gulf of Mexico Fishery Management Council meeting in Biloxi, Mississippi. Two free Protected Species Safe Handling, Release, and Identification workshops in Florida and Rhode Island. Free Atlantic Shark Identification workshop in Wilmington, North Carolina. Atlantic Highly Migratory Species Advisory Panel meeting in Silver Spring, Maryland. Full proposals due for 2019 Pacific Coastal Salmon Recovery Fund grants. Letters of Intent due for Sea Grant’s Social, Behavioral, and Economic Research Needs in Aquaculture funding. Proposals due for 2019 American Lobster Research funding. Letters of Intent due for Sea Grant’s Advanced Aquaculture Collaborative Programs funding. Full proposals due for 2019 Community-Based Habitat Restoration funding.